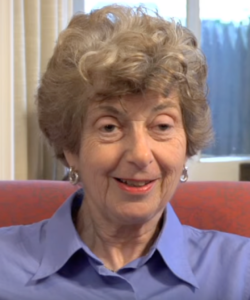 The Kolker Fellowship commemorates the legacy of pioneering health policy advocate Ann Kolker. The Kolker fellow will receive training and guidance from OCRA’s Vice President of Policy and other seasoned professionals. The fellow will have a unique opportunity to help advance ovarian cancer research and policy through grassroots and legislative advocacy, and patient engagement. When Ann was diagnosed with ovarian cancer in 1996, she was already a political powerhouse, through her early involvement in the National Women’s Political Caucus and Emily’s List. She was also a leader for women’s health at the National Women’s Law Center. When Ann realized that there was no unified national voice representing the need for ovarian cancer research and advocacy, she helped found the Ovarian Cancer National Alliance. She became the organization’s first Executive Director and used her keen intellect and determination to turn the organization into a leading force for patient advocacy. Federal funding for ovarian cancer research has more than tripled since Ann began her advocacy efforts. After a long and courageous battle with cancer, she passed away on February 3, 2016. Shortly before Ann’s death, the Ovarian Cancer National Alliance merged with Ovarian Cancer Research Fund to form Ovarian Cancer Research Alliance (OCRA), now the largest organization in the world advocating on behalf of ovarian cancer survivors and cutting-edge research. Read more about applying to the Kolker Fellowship. The 2019 application deadline has now passed.